Electric, gas, diesel, air or hydraulic power. Select from hose racks, hose reels, forklift pockets and more. Work with our engineers to get the skid mounted honey wagon you need. Skid mounted waste containment systems also called honey wagons are suitable for mounting in a truck, ATV trailer, concrete pad or on land. 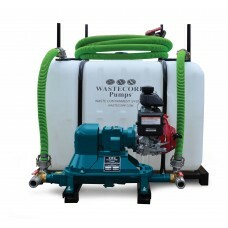 All skid mounted honey wagons feature Mud Sucker diaphragm pump technology which is designed and manufactured by Wastecorp. 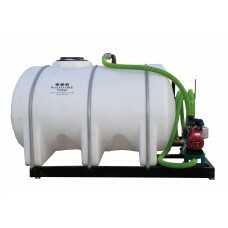 Select from multiple tank sizes, pump options and configurations. 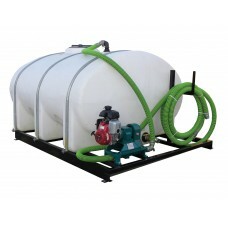 Tanks available from 25-5000 gallons and pump connection sizes range from 1.5" - 4". Single and double diaphragm Mud Sucker pumps available. 50 gallon waste tank. Various mounting available. 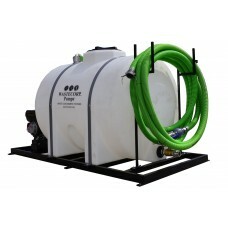 Includes Mud Sucker pump technology, all hoses and..
325 gallon waste tank, mount to a truck bed, concrete pad and more. 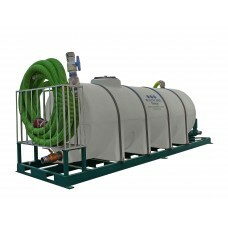 Includes Mud Sucker pump technol..
1025 gallon skid mounted honey wagon waste containment system. Mount this system on land, concrete o..
1625 gallon waste tank, skid mounted. 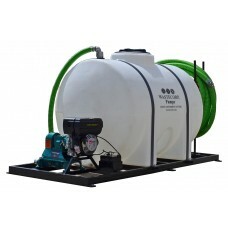 Includes Mud Sucker pump technology, all hoses and custom feat..
2035 gallon waste tank, skid mounted. Fork lift pockets available. Lifting bail available. Your choi..